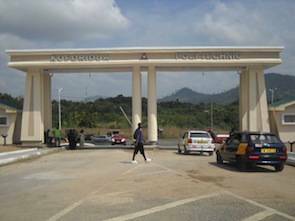 Worrying reports from the National Security has revealed that terrorist group, ISIS, has successfully recruited agents in Ghana who are targeting students from the various tertiary institutions. This was contained in a detailed report forwarded to the Ministry of Education. Confirming the development at the launch of the Zakat and Sadaqa education fund, a Deputy Minister of Education, Samuel Okudzeto-Ablakwa said, two students who had earlier joined the group were heading to Syria from Lebanon. He added that the national security was working with its international partners to accost the two Ghanaians who have joined the group. “It’s a shame that we have already lost two students. National Security is collaborating with their international partners to see if we will get these students back. The suspicion is that they are around Lebanon heading to Syria but it is important for us to safeguard those we are left here” he said. “We would like to appeal to you that as we work on this partnership which is aimed at supporting students financially, we will not have our investments well spent if these students just get to school and end up being radicalized and being led astray. So we want to appeal to you that lets begin a conversation of how we can work with the managers of our institutions” he stated. The fund is expected to guarantee loans for muslim students who access credit facilities from the Students Loan Trust Fund. The National Security Co-ordinator, Mr Yaw Donkor, confirmed a couple of months ago that two Ghanaians had joined the terrorist group Islamic State of Iraq and Syria (ISIS). He said per the records of the National Security, Nazir Nortei Alema, a 25-year-old graduate of the Kwame Nkrumah University of Science and Technology (KNUST), and another person, whom he identified only as Rafiq, had joined the group. Information available to the National Security, he said, was that the ISIS was very rich and provided attractive offers that potential recruits found irresistible. He said the National Security was collaborating with security agencies around the world, adding that at this point, there was no need for Ghanaians to be alarmed. The terrorist group has also been successful in recruiting agents in some European countries such as the United Kingdom, France, Germany and Turkey.